I figured a Nintendo Direct would probably be happening soon to hype up Pokemon and other Fall/Winter games. Plus, Smash still needed to reveal the mystery mode. Thus, I knew this was an article I’d want to get to quickly once I started writing here. I just didn’t expect to have to do it this quickly! Couldn’t you have waited another week, Nintendo? Obviously, there are a lot of supposed leaks floating out there and if you are someone who wants to hear them or speculating about who may make the roster then you are probably already aware of them. As such, I have no plans to recap them though I will be referencing some at times. If you need to catch up, here’s a handy-dandy list of all the big leaks with details so far. For this article, I’m just going to post my own theories and guesses about what may be revealed tomorrow based on a mix of my own reasoning and the possible leaks. How big is the final roster going to be? The fighter number is in a weird spot. Right now, there are 70 actual roster spots, maybe. If you go by the Smash Website, you’ve got Pokemon Trainer which has three fighters in one. Likewise, the three different Miis are in one spot. This matches Smash 4 where they had one square on the fighter menu and you selected the type of Mii Fighter you wanted after selecting the Mii square. Pokemon Trainer did not have three squares for each Pokemon in Brawl but was a single square selection also and I expect that to stay the same. Yet, the current fighter count is at 68 for unique fighters and there are currently 6 echoes. Will echoes have their own select square? Let’s assume they should since they are not being treated as costumes but have their own unique animations even if they are copying a lot of attacks from the unique character they are associated with. Since I’ve established that I expect there to be 12 new selection squares with echoes getting their own square, let’s use the Wii U menu to determine what that might look like. Obviously, we could give each of the bottom three rows a character square to make them even with the top rows. That leaves us with 9 squares left over. If we then start a sixth row then that leaves us 3 squares short of making another equal row. Could this mean that there are only 3 possible reveals left? Perhaps but there is another math aspect we need to consider here. What? No Poke Floats? Where are supposed to battle now? I thought Final Destination was the only stage in Smash…. As highlighted with my red circle, there is just enough room to add in 5 more stage icons to that block. 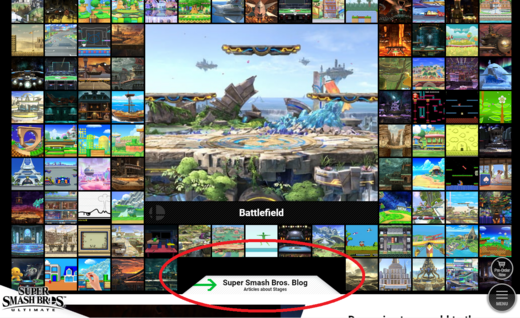 If the stages were organized on the website to work mathematically like that then I strongly think the Fighter page was also organized to end up in a perfect block of fighters. Thus, the final number of fighters should end up being a number divisible by three. That means there might only be 2, 5 or 8 fighters left to show. 11 seems way too high so I’m ruling that out. You’ll notice that 3 is not an option despite being three squares short in our earlier hypothetical selection screen. So, which of these numbers might be correct? 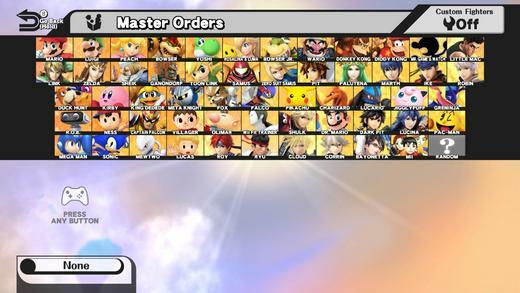 Since Ultimate was shown, we’ve had the following new non-returning characters added: 5 unique and 4 echo fighters for a total of 9. The original had 12 characters and Melee added 16 more. Those are the lowest newcomer counts in Smash history. Sakurai is already 3 away from matching the original and 7 away from matching Melee. Of course, there is the question of how much Sakurai considers an echo fighter as a new fighter if it is mimicking another character(s) moveset. In the E3 direct, he did make a distinction about a new echo fighter when showing Daisy and then later talked about a new fighter with the Inklings. At the end, he says not to expect too many new challengers but is he including echoes as part of challengers or unique fighters? Or could he mean new in the sense of recent gaming characters like Inklings since many are older so far like Ridley or King K. Rool? I think he does just mean new in the sense of being a new fighter in Smash Bros and not about whether a game character has existed a long time or not. I don’t see any reason to second guess that statement. Since he stated challengers that would seem to include echoes and unique fighters together. Therefore, if we take the 9 we currently have and add either 2, 5 or 8 then that gives us 11, 14 and 17 respectively. Since 17 now puts us past Melee’s amount of newcomers, I’d say we can also rule that possibility out. That leaves 2 or 5 more characters as most likely to be revealed. According to the box theory, 2 is the number left to complete the box. The Vergeben leak seems to have about 3 characters left to be revealed which are Ken from Street Fighter as an Echo for Ryu, Incineroar from Pokemon and a Square Enix newcomer. 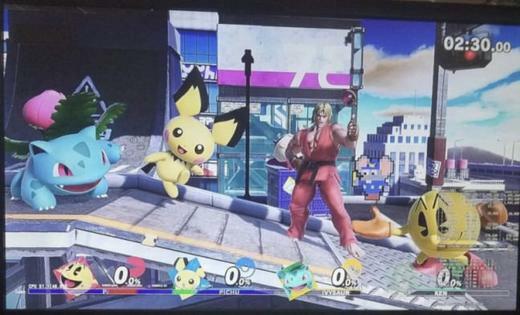 The recent “Grinch” leak had 6 newcomers which seems too high. That’s equaling the Melee output of newcomers. Plus, in Sakurai’s Famitsu column, he stated that he and the team may have gone a bit overboard in new character announcements and for the pace to slow. In a way, it has. The past two months have only seen one newcomer which was Isabelle (although that number becomes 6 if you go by the last three months). If this is the final Smash Direct before release (and it most likely is) then it would seem likely for the final roster list to be released. There’s no reason they couldn’t have saved up a few reveals for a final blowout but one gets the feeling it will be less than six. Has there ever been a time in which Smash Bros. revealed six new fighters at once? Now, echo fighters don’t seem to be getting as big a focus when they are revealed in a Direct. There’s no special movie or title screen for them in their reveals. If we go by the August Direct that had 5 new fighters, only 2 of those were unique and the other three were echoes. Simon opened the Direct and K. Rool closed it with the echoes jammed in the middle. When it comes to the Grinch 6, unless there are 4 echoes to be revealed with 2 unique newcomers, I just don’t see that leak being true (and even if that did end up being the case and shown in the Direct I’d still disbelieve it) since, at least, half the characters seem like they’d be unique fighters. Let’s just go back a moment to the character selection screen. 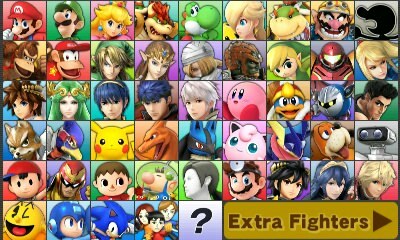 Let’s imagine a scenario now where echo characters did not have their own unique character square but were chosen on selecting the unique fighter’s square they belong to (like the Mii variants) then that just leaves 6 character squares that have to be added to a character selection screen. Going back to the Wii U selection screen, 3 of those squares could be added to the three bottom rows to make them even with the top rows as was done in the first scenario. That just leaves 3 squares to fit in somewhere. If we look at the gap on the sides of the screen by the top two rows then there seems to be enough room to add at least one more square to each row. If we add those 3 squares to the five rows then that leaves 2 rows that would be short a square. Once again, that magic number 2 shows up. Of course, that doesn’t mean there can only be two new characters revealed. Although there may be only 2 unique newcomers, if there were 2 or 3 echoes then they would just be tied to the square of the unique fighter they belong to like the other 6 echoes in this scenario. Alright. Before this article collapses into a black hole of endless words and theories of just what the final number will be, I will put out my prediction. Although my head says I should just go low with two, I’m going with my heart and saying there will be five newcomers revealed in this next direct to finalize the roster. Going by the roster select breakdown I’ve been using, five can work in a scenario where echoes do not have a character square of their own as I just outlined above but it would be a scenario of 2 unique and 3 echo. On the other hand, if the echo characters do get their own character select square then that leaves us with two extra squares in the first Character Select Screen scenario this article started with. However, since we’ve got 6 rows now, you can squeeze those two last character squares onto rows 3 and 4 and still keep things pretty symmetrical in that regard. Another reason I’m going with 5 remaining fighters is that there should be 5 stages left to reveal so I like how even these final reveals could be despite knowing the last stages may not actually be tied to all these possible final revealed fighters. That also leaves 4 possible future squares that could be added in the six rows scenario which is noteworthy since the 3DS used a 4 square character chunk called “Extra Fighters” for the DLC to open in a second screen pictured here. If they only had made 4 DLC characters then they wouldn’t have had this issue. Now, the difference is that the 3DS was basically a single player game (in that other 3DS handhelds were needed for multiplayer) so opening another screen for character selection wasn’t a big deal. I’m not sure what that might be like trying to implement it with Ultimate since the Switch will allow for 8 character multiplayer and won’t require players to be using their own Switch to do so. Still, it is just a neat way I think of how the math comes together and works with what has been done in the past. After coming up with a number, let’s get to the main reason you were probably even reading this. What characters do I think will make up the 5 last roster spots I am predicting? Who invited this guy anyways? Ken from Street Fighter – I don’t like including this character. I’d rather Chun-Li be included if another Street Fighter character had to be included but I get that he could make for a very easy echo fighter. Moreover, I just don’t see him being that popular as a character people really wanted in Smash. So, his showing up in a couple credible enough leaks just seems like he will be in. I don’t get why he wasn’t shown back at E3 instead when it came to announcing what echo fighters are since he seems like a great character to use for explaining this feature plus Ryu was shown as a returning fighter and part of the game roster / not DLC so the timing seems like it would have been better during that Direct then the final one. It’s like if they had announced Simon Belmont in his Direct and then waited and showed Richter as an Echo a few directs later. Why not sooner? Since I doubt Street Fighter is getting another stage, it’s confusing why he’s been saved up to this point. If this prediction is wrong and there is no Ken, I’ll actually be happier for that then his actual confirmation. I’ll admit I’m… warming up (ho ho ho) to his possible inclusion. Incineroar – Yes, I’m also sticking with the Vergeben leak by including Incineroar here. There is the precedent of a new Pokemon from a generation since the last Smash iteration being included so it would seem likely that another Pokemon would be added and Pokemon sells. Sun and Moon are the third best selling software on the 3DS and just had the Ultra version released last year which is pretty much the only 3DS software making strong sales numbers in the past year . This is another case where I’d be fine with the leak of this character’s inclusion being wrong but that’s also because I’ve got very little familiarity with the franchise. However, I could come around on Incineroar if it turned out he was an echo of Charizard because there was an Alolan Pokemon Trainer echo with a couple other Alolan Pokemon serving as echoes for Squirtle and Ivysaur. Most likely, that will not be the case because it would be a lot of work for a supposed echo character but, boy, I think that would have been a big deal to pull off. Will Incineroar be an echo though? It’s possible. I, unfortunately, do not know his moves or the character well enough to think of who he could echo from the other Pokemon given but maybe he could work as a sort of echo of Lucario. Still, Pokemon is the largest series on the roster without an echo so far and it really seems like Pichu could have had that designation given if they were going to hand one out so I’m going with Incineroar being unique. *Sigh* Always with the guns. At least hold it sideways if you want to look cool! Shadow the Hedgehog – Considering Sonic the Hedgehog was one of the first big Third Party characters to crash Smash Bros. back in Brawl and has since been a steady presence, it is surprising the Sonic franchise hasn’t had a second fighter join in yet. It’s not like that franchise suffers from a low amount of characters to choose from although people’s opinions may differ as to the quality of those choices. 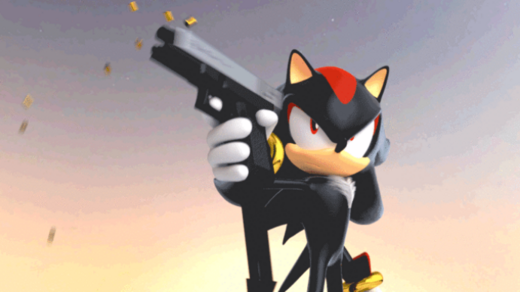 Shadow wouldn’t be my personal choice as the second character to rep the Sonic franchise in Smash though. If I had to go with a hedgehog clone then I’d actually go with Metal Sonic. However, I’d still be welcome to the prospect of Shadow joining if he is included. Considering that he has acted as an Assist Trophy in the last two Smash games, he would seem like an easy character to bump up to fighter status to increase the fighter number. Despite the way he’s been handled at times by Sega, I still actually enjoy and like Sonic Adventure 2 which introduced this Ultimate Lifeform and Shadow is a part of why I like that game. Plus, I like how he sort of glides and floats when he runs. While it would be a bigger shock to see Amy Rose as an echo fighter, she relies more on hammer attacks these days so she should probably be more of a unique fighter and I highly, highly doubt that will happen. Considering all the times Sonic and Mario teamed up for the Olympics and the amount of unique Sonic games tied to Nintendo consoles in the last couple generations and I really feel Sega’s got to be getting a second character in Smash even if it is an echo. People were expecting Skull Kid but they forgot Isaac’s color scheme which is kind of purple and yellow. Isaac – Only one assist trophy from Brawl has moved to fighter status and that is Little Mac who made the transition in Smash 4. However, two of the assist trophies in Smash 4 have now joined the fighting roster and they are Dark Samus and Isabelle. So, it can happen but it still seems to be rare. If I’m wrong about Shadow the Hedgehog then Isaac could be the fourth to do so or he could be the fifth if I’m right about both. Isaac is an interesting case. He seems to have been forgotten after Brawl. He did not return as an assist trophy in Smash 4 nor did he even get a trophy or Mii costume. And yet, I can’t deny how well this character does in polls when asked what characters people would like to see in Smash. He’s regularly in the very top and is often doing numbers comparable to King. K. Rool or Snake who have both returned and is usually outperforming Geno who’s copyright situation makes him harder to include. Sakurai obviously thought enough of Isaac for his inclusion as an assist trophy back in Brawl plus adding him would put another franchise on the roster to further boast about the mega-crossover event Ultimate has been promoting. 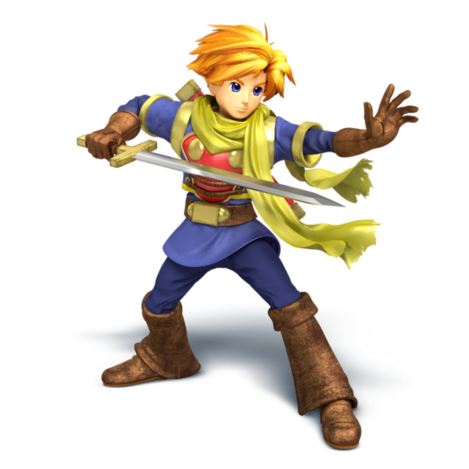 Repping the Golden Sun franchise does mean that Isaac would most likely be a unique fighter. I’m not sure how well the Golden Sun games may have done on the Wii U’s GBA Virtual Console but they could have had an impact on discussions of including Isaac if they did well. Likewise, if Nintendo is looking at re-releasing some of the GBA titles on the Switch in the future then the inclusion of Isaac may motivate more people to try out the Golden Sun games in any such future re-releases. Switching jobs from Nintendo to Microsoft has resulted in a difficult strain on their relationship. Banjo-Kazooie – Perhaps the reason Ken hasn’t been shown as an echo yet is because he is being held back as one last bit of a Third Party character blow-out with BK as the star attraction. Aside from Snake who is back, Banjo-Kazooie seems to be the most requested Third Party character. Banjo-Kazooie was a big part of the nostalgia gamers have for the N64 as it is the series that established Rare’s take on 3D platforming for that system and collectathons. The big response towards the spiritual successor of Yooka-Laylee’s kickstarter shows how much the series still resonates with gamers today. Out of the five characters listed, this is the one that would most excite me and I never got around to playing the two N64 Banjo-Kazooie games! While there is the possibility they could be handled as an echo of Duck Hunt Dog, considering they would represent their own franchise, I’m sure they’d be a unique fighter. Had it not been for the sale of Rare to Microsoft they most likely would have been Smash already by now. It is that sticky point of Microsoft that has made Banjo-Kazooie a bit of a long shot. 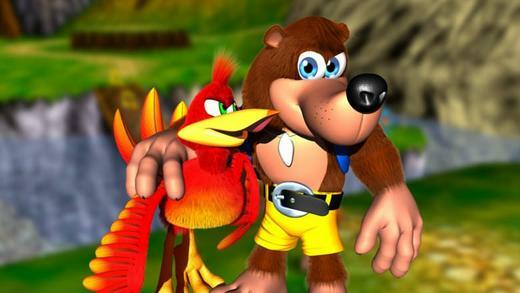 Unlike the rest of the Third Party characters to appear in Smash, Banjo-Kazooie is the only one to actually be owned by a hardware competitor. Moreover, Microsoft owns the franchise and the back catalog of games. Does Nintendo want to help a competitor just for the sake of fan-service? At the same time, Microsoft owns Minecraft and yet they’ve allowed that game to release on all consoles and have crossplay showing some flexibility in how they handle a franchise they own appearing on competitor’s devices. And then there is also the speculation of Nintendo perhaps releasing an N64 Classic console. With most of the Rare catalog gone to Microsoft, might Nintendo try to work out a deal with them to include some of those games like they have with other Third Partys for their previous classic systems? Heck, Microsoft is probably the only other participant they need to work with to release a really solid N64 classic. Still, if they were to negotiate with them on that then might bringing Banjo and Kazooie to Smash help start or be a part of that process? Depending on the long term plans for Nintendo and Microsoft, this might not be long shot it could appear to be on first glance. But I suppose we’ll find out for sure by Thursday. Now, to review, these 5 would consist of 3 unique fighters and 2 echoes although I’m kind of 75/25 as to whether Incineroar will be a unique fighter or echo. Right now, the unique fighter number is 68. Adding two unique fighters would give it a nice round number of 70 if Sakurai or the team really care about that. Considering DLC might still be a possibility that even 70 could end up being a 76 or something else thus they may not care about the final unique fighter number. So, I’ll throw out my final dark horse possibility for an echo that may take Incineroar or Isaac’s spot (because I’m going all in on Banjo-Kazooie showing up) and that is Paper Mario. There’s a lot that could be done with Paper Mario to make him a unique fighter also but I could see him as a Chrom situation of borrowing some various moves while still being an echo. We’ve got 3 Links in this game and 3 Samus(es?) so why not a third Mario? Doesn’t look like it has aged a day since it’s N64 debut! Spiral Mountain – Going with the all-in on Banjo-Kazooie then I’ve got to think there would be a stage to represent the franchise as well and Spiral Mountain is a pretty iconic location being used in all the games and has Banjo’s house. Plus, early stages often seem to be included more in Smash Bros. Maybe a couple other characters can make a cameo appearance in the backround like Mumbo, Grunty and Tooty! 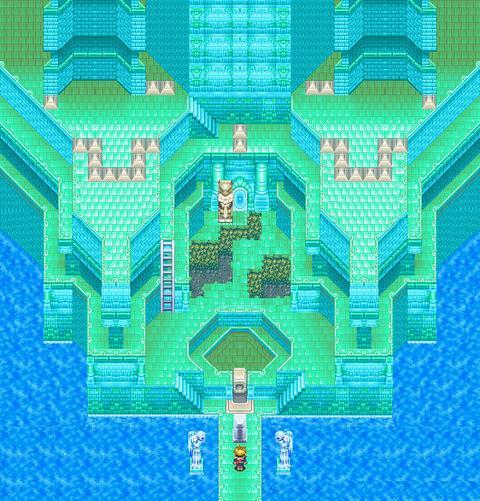 Mount Lanakila – There is usually a new Pokemon stage to go with a new Pokemon in Smash so if Incineroar is in then it would follow for him to bring a stage along. 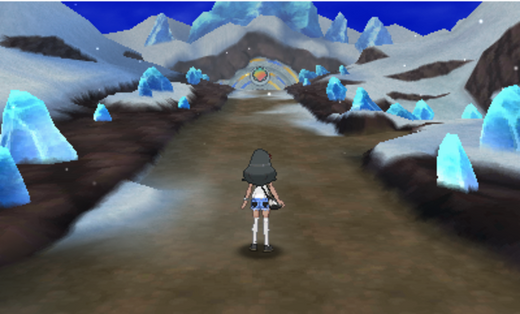 Considering the Pokemon stages usually like a big landmark or battle area then Mount Lanakila fulfills that criteria as it is the site for the Alola Pokemon League. Even if Incineroar or no other new Pokemon make the cut, I could still see this stage being included just due to how well Pokemon Sun and Moon have sold on the 3DS. I suppose it’s impressive. Perhaps if they throw some of those newfangled polygons around the property it will really help make it shine. Mercury Lighthouse – If Isaac is in Smash then there should be a Golden Sun stage to go with him. I’ve seen the idea of the Venus Lighthouse floated out there as an option but I went with Mercury as it is earlier in the game and Smash usually favors earlier stages. Since I’ve got no other experience with this franchise that’s all I can offer about this choice. Smash could use some New Los Angeles Night music, am I right? Uh, uh, uh, yeah, yeah! 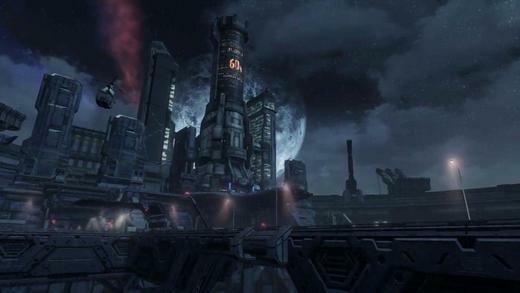 New Los Angeles – Smash Bros. is usually a representation of the past generation of Nintendo games in the stages that it uses. Smash 4 was a bit different in that it did have a bit of newer current stuff in its 3DS stages as well as few early Wii U stages/games like the Game & Wario Gamer stage or the Pikmin Garden of Hope along with some more iconic Wii stages. At this point, it seems any Switch crossover has happened already with the Mario Odyssey, Breath of the Wild and Splatoon stages being included. As such, I doubt we’ll seen any representation of Mario 3D World or Link Between Worlds as a stage in this game. Looking at games released in the short time before and after Smash 4 until now, one game that I could see getting a stage put it without a fighter is Xenoblade Chronicles X. I was thinking of going with Primordia (because I love it’s theme song and hope it gets included in this game) but I felt it might end up looking a bit similar to Gaur Plains from Xenoblade Chronicles which is also in this game. (Not that visual similarity has stopped other stages from also appearing together in Ultimate so far.) Going with New Los Angeles is still a pretty iconic part of XCX which is found early in the game and serves as your main base throughout. It could be like Sunshine or Mario Circuit with a platform taking off and landing at various points in the city. Plus, if this game does have some boss battles then it could always borrow one of the massive beasts from XCX as well for that single player mode. I don’t know what the stage would look like but the cats are ready to judge your Smash skills. 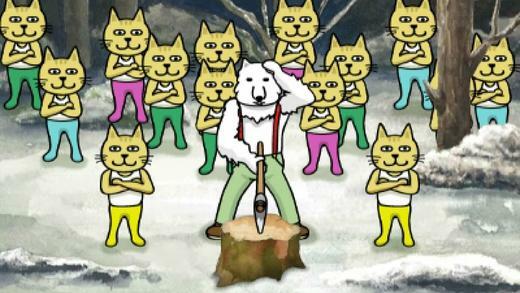 Rhythm Heaven Mix – While I highly doubt the inclusion of the Chorus Kids or any type of Rhythm Heaven fighter for Ultimate, I could see Sakurai including a stage based from the games. I’m not sure if there is really one stage that would work best but I could see it as a Wario Ware type stage in which it switches through different rhythm games but in a set pattern over time. In truth, I’m not too sure what might be the final stages. 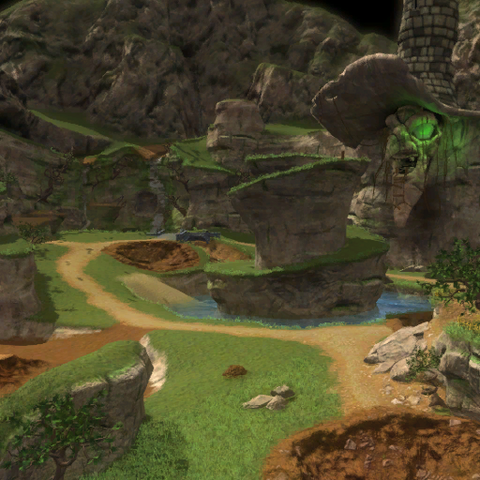 In some ways, this area of Smash Bros. is even more wide open than possible fighter characters. I was thinking of any major Nintendo franchise or property that hasn’t really been utilized in Smash Bros. and the two ideas I came up with were a Mario Sports Arena or Mario Party. They’d sort of work similar to this idea. In Mario Party, the battle would progress along a playing board / map that would occasionally change or shift to some minigames like Pushy Pushy Penguins making you try to dodge them and keep from getting caught and pulled off the screen while fighting. Mario Sports arena could be like Pokemon Stadium and changes to various sports like soccer, tennis, baseball, etc. Much like ShyGuys racing in carts on the Mario Kart stages, Toads, ShyGuys, or Kremlings could rush across the stage from time to time either chasing a soccer ball or trying to play a match of tennis. In the end, I stuck with Rhythm Heaven based on the leak / rumor from Smash 4 when people thought the Chorus Kids might make it as a fighter. 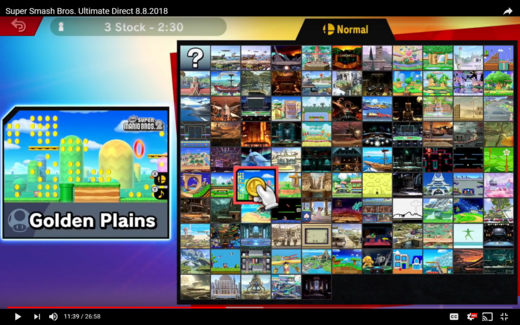 Other stages – Vergeben has mentioned there is a Minecraft element to Ultimate and people are speculating that might be a stage which is possible. I just think if Minecraft is going to get a stage then you’d think it would get a character to also represent it. I feel if Minecraft is in then Banjo-Kazooie is out so I’m stick with BK (to have it my way) and thinking Minecraft may just get trophy representation or have Steve serve as an assist trophy to pick-ax away at fighters. When thinking about any Third Party possibilities for the last stage, I did think of things like Pushmo, Dillon’s Rolling Western, BoxBoy, Steamworld or Shovel Knight but in all those cases, it just seemed weird to have a stage from that series yet not have the main character also be a fighter on the roster with it. The only Third Party stage that I could think of where that wasn’t the case was Harvest Moon. However, that franchise is in a weird place with the developer XSeed now going by the Story of Seasons title while Natsume owns the Harvest Moon name and just starting making their own series of games under that old name. If I’m sticking closely to the Vergeben leaks by including Ken and Incineroar then why do I not have a Square Enix fighter. That’s because I think the SE Fighter will actually be an assist trophy and it will be Geno. Sorry Geno fans but maybe the Waluigi fans can help you in this time of grief. Likewise, I’m going with Steve from Minecraft as an assist trophy. Spirits Mode will be a bit like Adventure Mode in Melee. There will be a linear progression that you make and certain bosses that you will face in the same order. However, you can risk / adjust how difficult you want the mode to be. Lower side of the scale means fewer bosses and stages you have to play and battle on. Higher end of the scale means more bosses and more random battle stages to play through. Other fighters are possessed or under the influence of an evil entity. As you play, you can restore/revive other fighters and have them join your team a bit like Pokemon by weakening their stats to a point to try and capture them / make them join your party.. The teammates will either be a CPU or another player if playing the mode with a friend. At the end of the mode, your team will face a final random challenge (like Smash Run) and the teammates that survive it will then be unlocked and added to the roster. Amiibo can be used to unlock characters and their stats / progress will be represented when on your team playing the mode. That’s all I got at this point. This is what I’m kind of expecting. Now to see how well this lines up with tomorrow’s Direct. I don’t care if I’m wrong if it means getting shocked with some better surprises than what I’ve listed here. C’mon and rock me, Amadeus Sakurai! Previous Post Khushrenada Hired at Pietriots Thanks to New Bribe Acceptance Policies! I predict this article is crap and hiring Khushrenada will be seen as a huge mistake. Holy crap! I really can predict the future! Ken and Incineroar are confirmed. Everything else is SALT, on and Piranha Plant is also a fighter because Sakurai is supreme troll. Also everyone except Kirby dies. After all your careful number crunching Sakurai says fuckit and announces 2 + 1 preorder + 5 DLC. He doesn’t care what the character select screen looks like. But he does. I’ll probably write a follow-up in a day or two but the math works. And the Direct showed the how the character screen would look and work.